CLEVELAND GOLF®, focused on Where Scoring Matters™ and a global leader in wedge innovation since 1979, is proud to introduce three new Huntington Beach Collection putter models: the 3, the 6C and the 10. The new models officially launch on Friday, April 14, 2017. 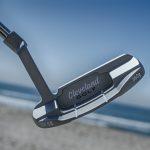 The Cleveland Golf Huntington Beach Collection is a line of milled putters with technology designed to deliver more consistent putting performance. Inspired by the beautiful setting of Cleveland Golf’s North America headquarters, these putters feature the classic designs that have been revered for generations with modern innovations that can help any golfer improve their scoring. Golfers around the world h ave discovered the incredible performance and value of the Huntington Beach Collection. The 1, 4 and 6 models, which launched in September 2016, have garnered impressive accolades from many major golf media outlets. Golf Digest awarded a 2017 Hot List Gold Medal and 5 stars for “Performance”, right in line with a review from one particular Hot List tester: “Whatever they’re charging, they should charge more. It’s that good.” MyGolfSpy’s “Most Wanted” putter testing also showed very positive results, with the 4 model earning “Best Value” in the Blade Putter category. The new Cleveland Golf Huntington Beach Collection 3, 6C and 10 putter models feature tour-proven shapes and are made from soft 304 stainless steel, which promotes a softer feel at impact. 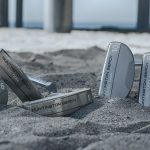 The Precision Milled Face has a coarse, diamond-shaped pattern that is four times deeper than the previous generation, according to Cleveland Golf testing. The face promotes more friction at impact, which enhances feel and helps produce a more consistent roll. The Huntington Beach Collection 3, 6C and 10 putter models are available in right-handed 33”, 34” and 35” length options with a Midsize Blue grip. Huntington Beach Collection putters are available at $99.99 MAP each, and the oversized WinnPro X grip is available at a $10.00 MAP upcharge. Click here for hi-res product/lifestyle images. Visit the Huntington Beach Collection page to learn more. Based in Huntington Beach, CA, Cleveland Golf is part of the DUNLOP SPORTS CO. LTD family and enjoys a strong presence on competitive tours worldwide. The professional staff includes Graeme McDowell, Keegan Bradley, Hideki Matsuyama, Inbee Park and many others. 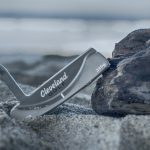 Cleveland Golf develops innovative short game solutions, producing advanced wedges and putters for a wide range of players that are designed to improve scoring from 125 yards and in. For more information, please contact Eli Miller (714) 889-6441 or visit clevelandgolf.com.